Feel free to make an offer on anything. 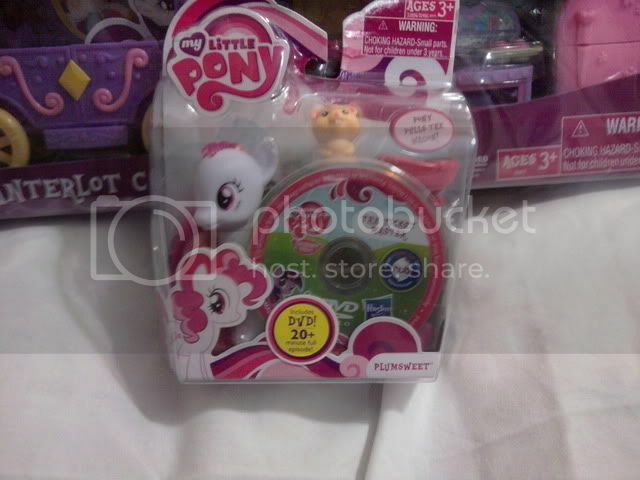 If there's something you want that's available in the US but not where you are, like the Canterlot@Target stuff, please ask and I will see if I can get it for you. 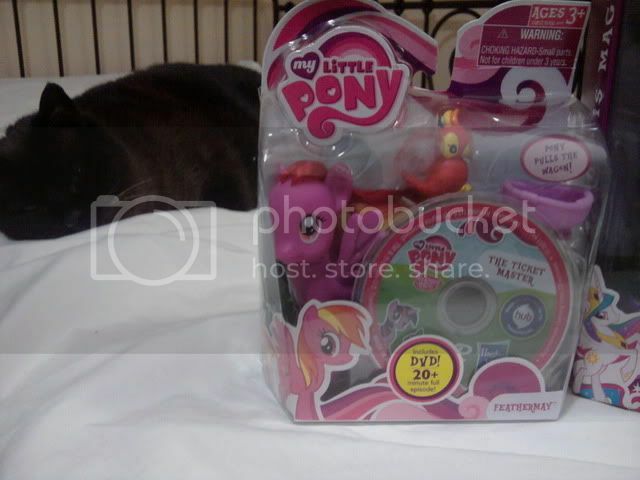 I would be happy to trade for the non-US pack-in ponies and such as well. As of Jan 2nd the full line of Target exclusives is available in my area. 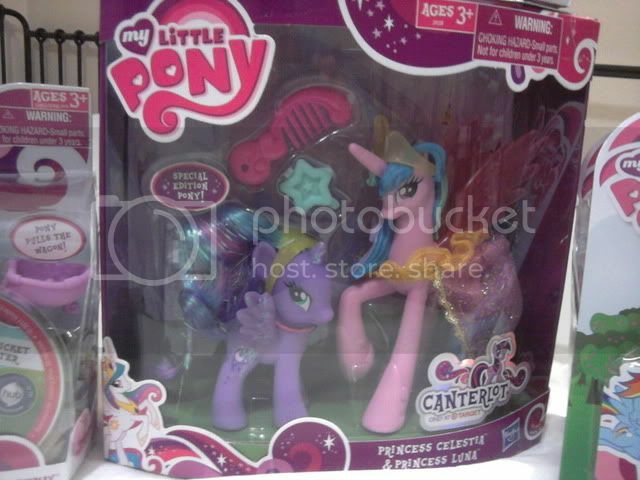 Glimmer Wings, Royal Castle Friends, and Pony School Pals have also hit the shelves but not in high quantity. 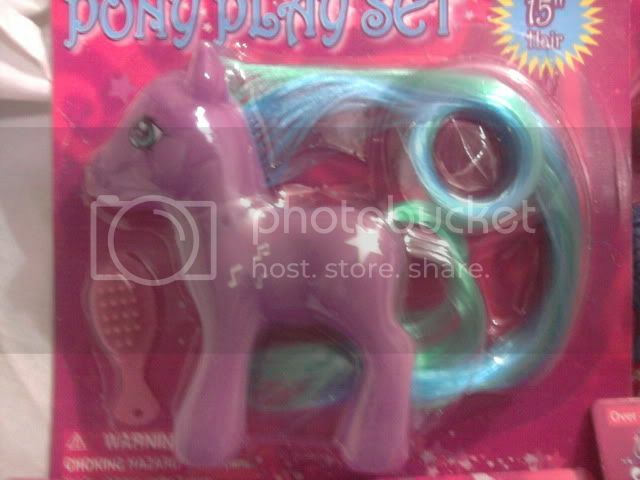 I do not have the Canterlot or Carousel playset pack-in ponies loose. 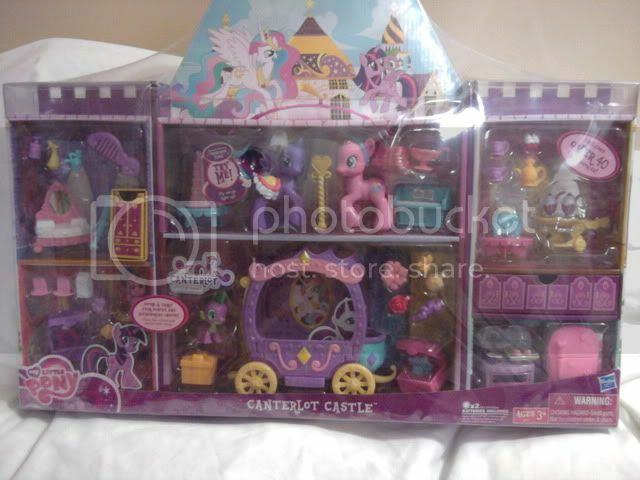 I can get the whole set and debox to save shipping or send just the pony/ponies you want from it, but you would have to pay for the whole set. 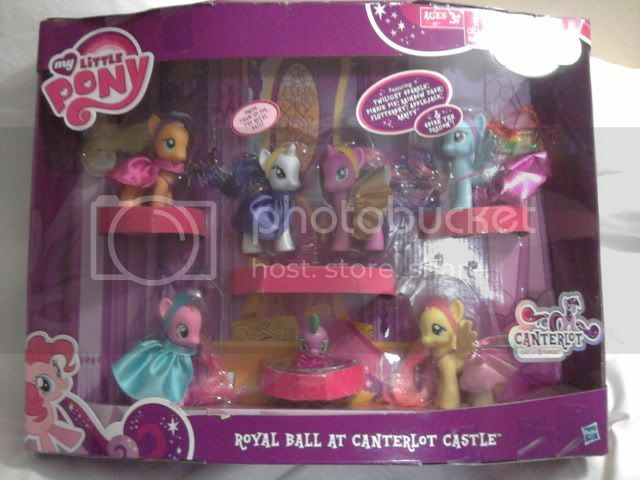 Posted: 0 Post subject: Re: Canterlot@Target playsets, G4 singles, and more! I would love to get Royal Ball Rarity out of the set if you're still willing to sell her as a single! Rarity is my favorite pony and the one from this set is on my list of ones to nab, but I didn't want to buy the whole set if I didn't have to, so this would be perfect. And how much would you charge for the Royal Sisters set if you could get more? 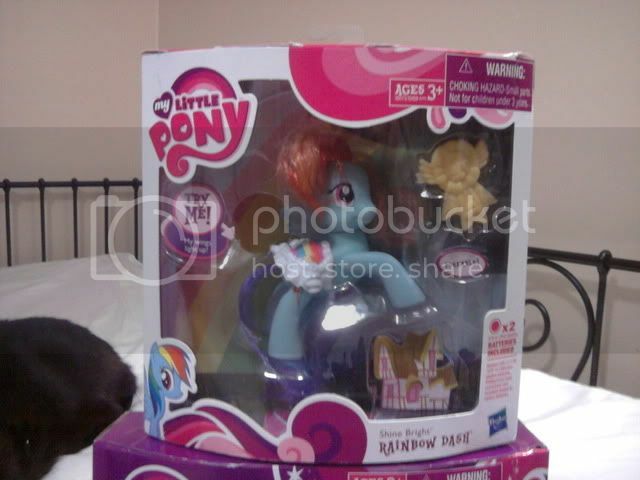 :3 I haven't been able to find this set at my local Target. I can get more Royal Sisters, and I will sell an RB Rarity as a single, I've already got someone else buying a couple others out of one set but I'm waiting to amend the listing until I'm home from work. I'd like to update the OP but I'm getting a database error. 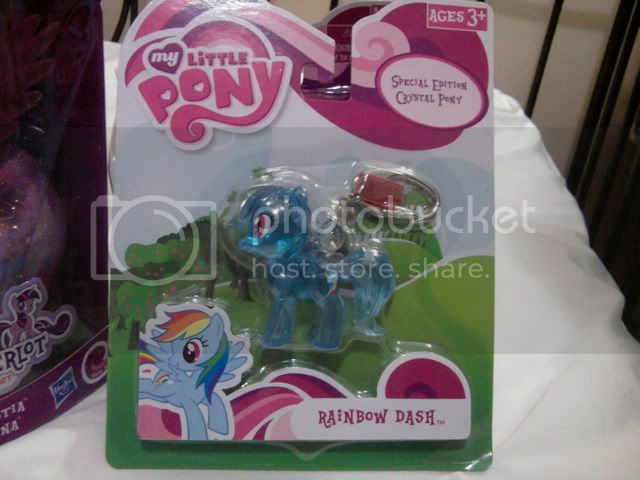 Shine Bright Dash and the keychain are sold, 1 Royal Ball set left, 3 loose Royal Ball ponies (Twilight Sparkle, Rainbow Dash, Fluttershy) left, and I found some G3 mold fakies. 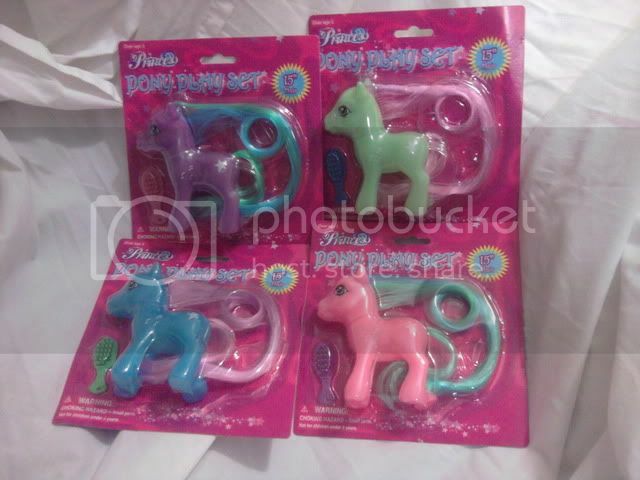 G3 mold fakies "Princess Pony Playset" $2/ea with or without card. Mane is a single row of plugs, tail is rooted so you have to punch or cut a hole for a proper tail. The mold is pretty accurate and they make good baits for fun and practice. Looking forward pose in blue, green, pink, and purple available. They are both sold now, I'm sorry. 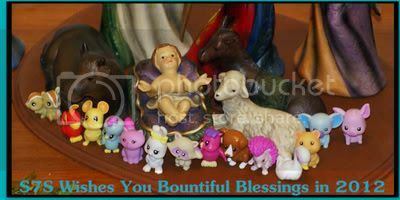 If I find more on my regular toy-hunting rounds I'll let you know. I'm interested in the tinsel-hari Fluttershy and Spike. I sent you a PM.